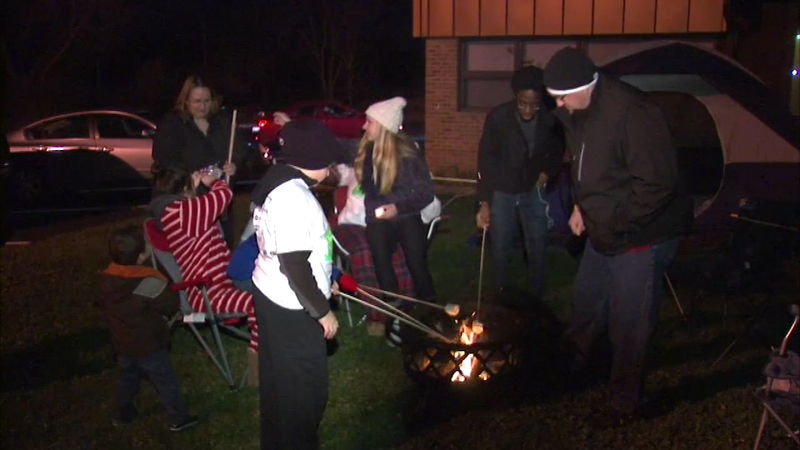 GLEN ELLYN, Ill. (WLS) -- Hundreds of young people in DuPage County are choosing to leave the comfort of their beds and sleep outside Saturday night. The kids are pitching tents in back yards and parking lots across the area raising money for homeless families for the 12th annual "Sleep Out Saturday." ABC7 Eyewitness News anchor Judy Hsu helped to kick off the event.